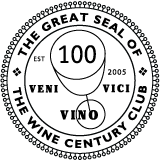 For more detailed information, please refer to Wine Spectator’s Website. I hope you are fortunate enough to get to enjoy one of the top 10 wines of this year! This entry was posted in Wine, WiNews and tagged 2012, Australia, France, Italy, news, spectator, top 10, USA, wine on February 4, 2013 by Stefano.